Got a sweet tooth? 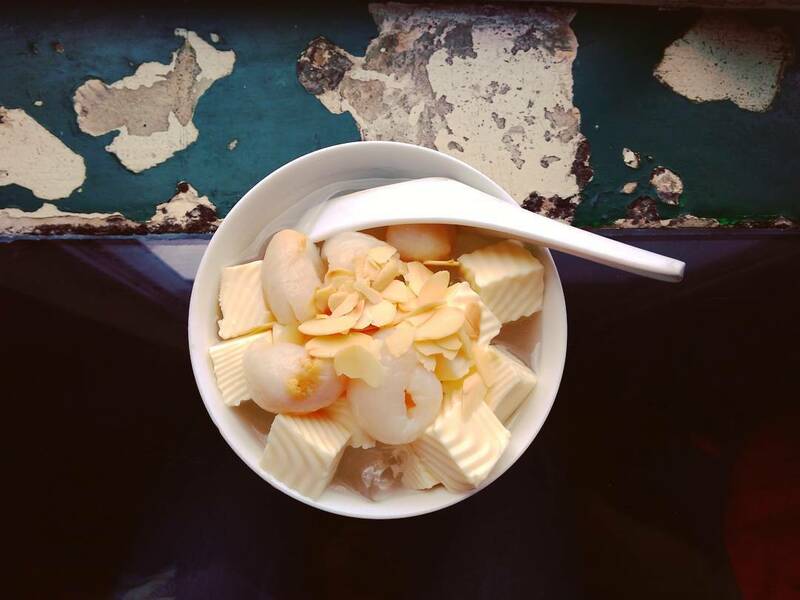 Vietnam has one of the world’s greatest traditional desserts: a sweet soup called “chè” that is as customizable and variant as your imagination can handle. Let’s explore what Vietnamese che can offer you. 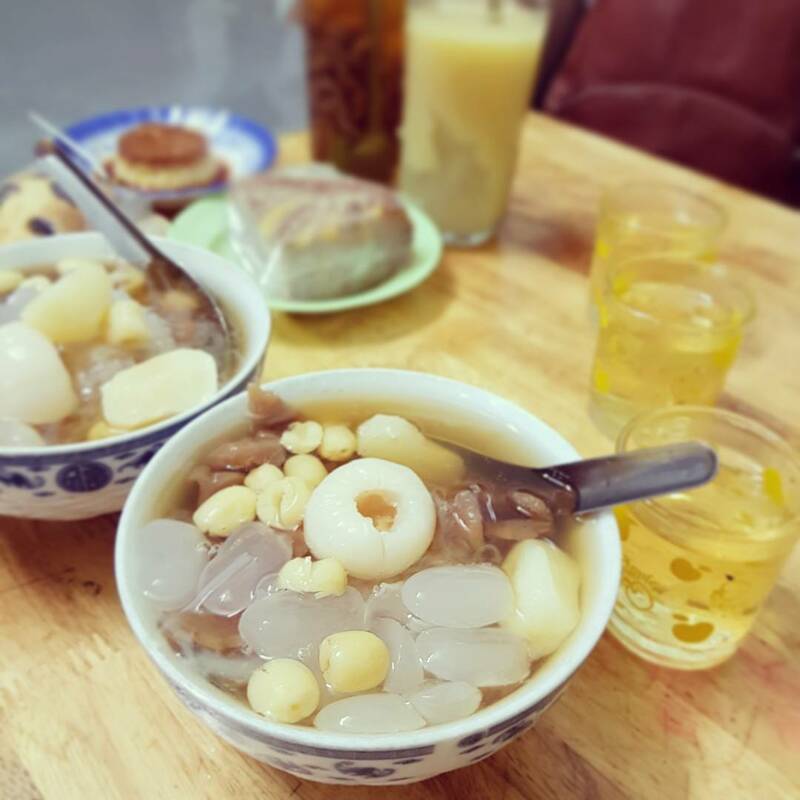 Vietnamese chè, within its sweet gruel or soup, can contain a wide range of traditional dessert ingredients, often featuring various types of peas, beans, tubers, or fruits, cooked in water and sweetened with sugar. 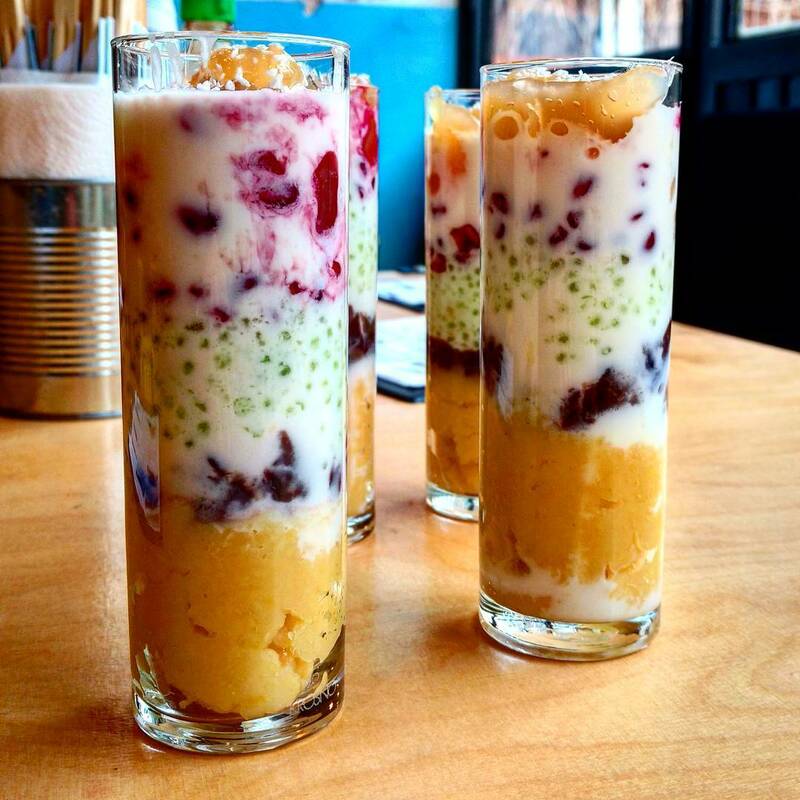 Indulge yourself in heavenly taste of “Chè” with Inspitrip now! 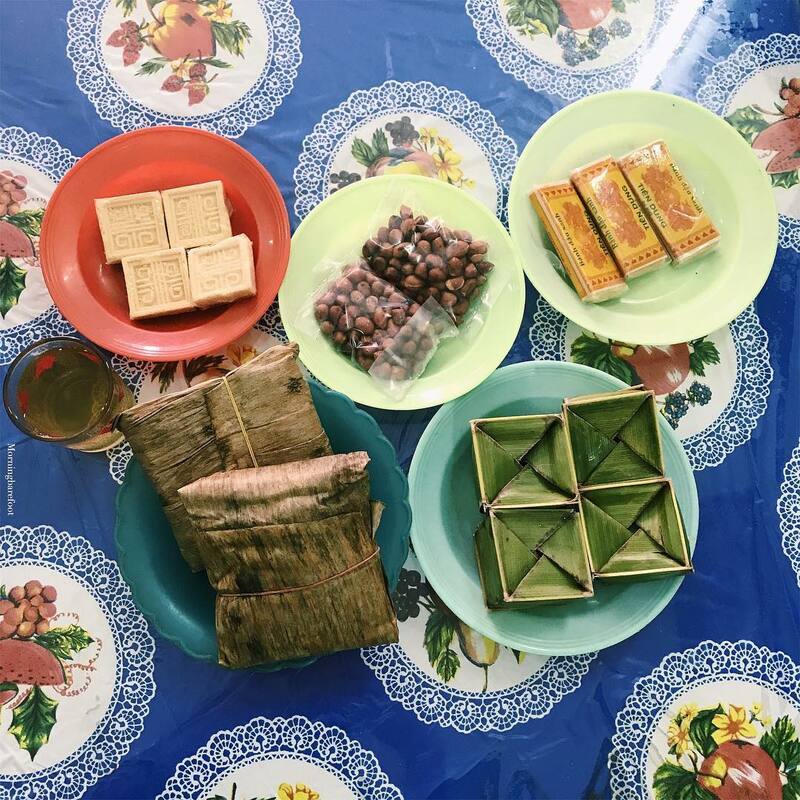 Join our best food tours in Ho Chi Minh city with great deals! Chè is very common and a favorite among Vietnamese people of any age. However, chè is a dish that shows off how diverse the same dish can be across the many regions of Vietnam. Here, we’ll be focusing on the southern version of the dessert. Explore our top ten picks for chè in Saigon that local people have been visiting for years. This is a perfect place for you to try various types of chè at once. Their famous menu is features a huge tray try 15 different kinds of chè! 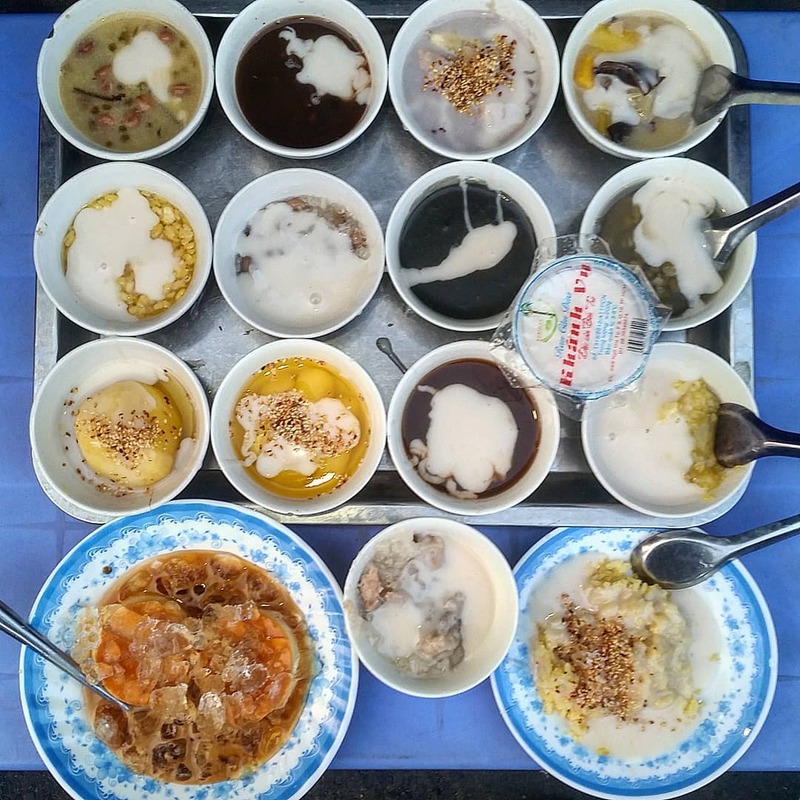 The tray includes the most common versions of Saigonese chè, such as Mung Bean Chè, Black-eyed Pea Chè, Taro Chè, etc. At only 75,000 VND, you can experience the spectrum of options available through years of cultural development. Tips: One is enough to satisfy a family of 4. Be smart; if you are traveling alone, bring some friends so you can all try each one of them! Otherwise, you can also order small chè bowls of your choice, at only 5,000VND each. Established in 1959, Hiển Khánh is one of the longest-standing chè houses in Saigon. 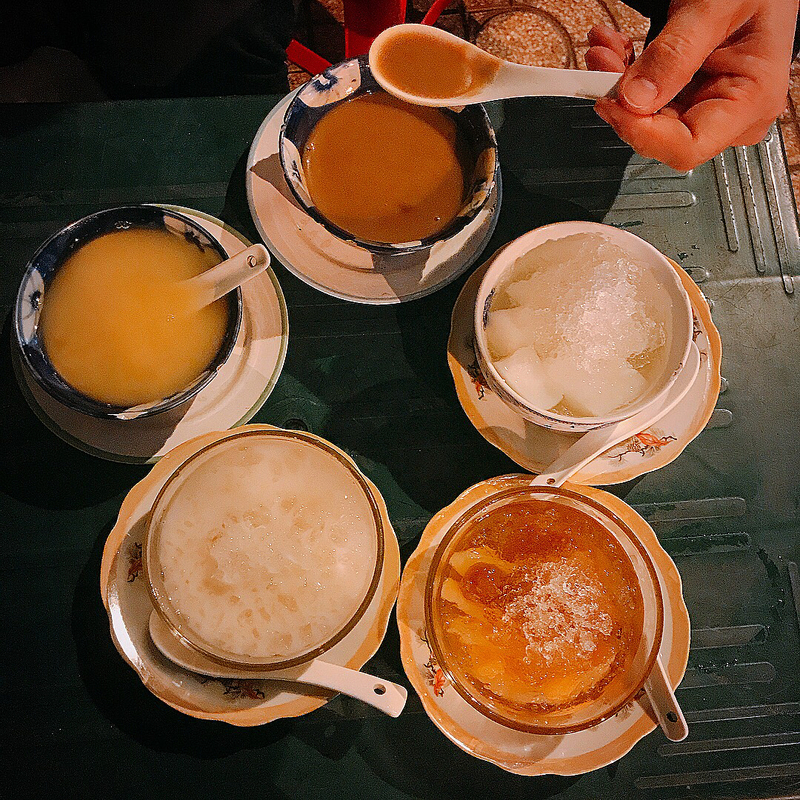 Named after an old village in Nam Dinh, Vietnam, this place pays homage to its traditional roots with a menu of signature chè desserts from northern Vietnam. This location serves many options of chè with beans and jelly. Their chè is famous for its mild sweet taste and jasmine aroma! Another established and well-known chè location in Saigon. This chè place lies near the Chinatown in District 5, serving chè with unique Chinese inspiration. 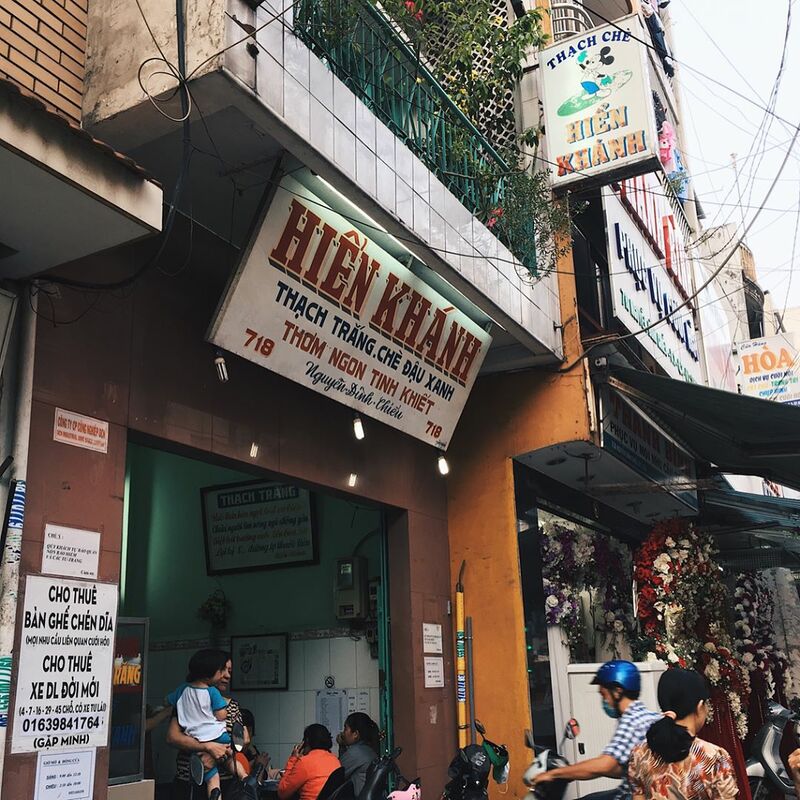 This place is also known as “Chè Cột điện” – roughly translated as “Power pole Chè”, because it is not a store or restaurant, but rather just a stall located near some power poles! Visitors sit right on the sidewalk and enjoy the excellent street food where it’s supposed to be enjoyed – on the street! Tips: The stall is near Chinese town in District 5, tru some nearby Chinese restaurants and then get your chè fix right on the street side! “Chè khúc bạch” resembles panna cotta in some way, but is distinguished with its lychee soup, mildly sweet and very refreshing. 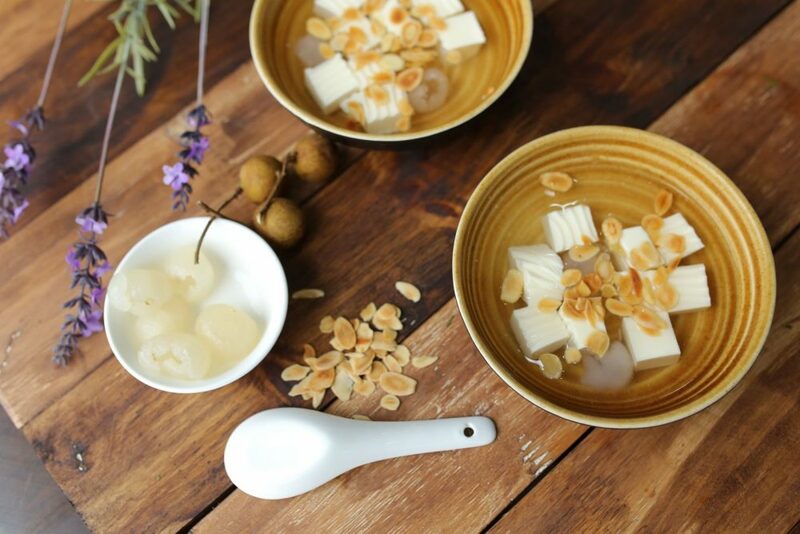 This delicate dessert also includes roasted sliced almond, adding even more aromatic flavor. 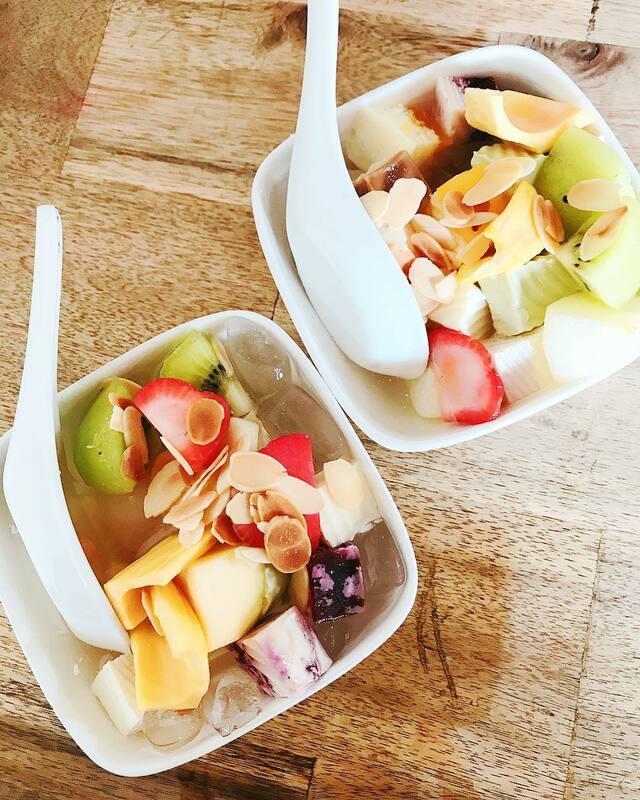 Besides lychee, you can customize your “khúc bạch” bowl with many fresh fruit toppings such as jackfruit, strawberry, kiwi, etc. The possibilities are near endless! Thai and Vietnamese cuisine share many common tastes. Chè is among the most favorite and popular Thai dishes among Saigonese. Strolling through Nguyen Tri Phuong street, you will find many Thai Chè houses, Ý Phương being the most famous. Tips: Try to avoid weekend nights; the place quickly fills with hungry patrons. If you are not lucky enough, you might not be able to find a seat. Another Indochina taste brought to the middle of Saigon; the Le Hong Phong market is known as a “little Cambodia” in Saigon, and is filled to the brim with Cambodian street food. 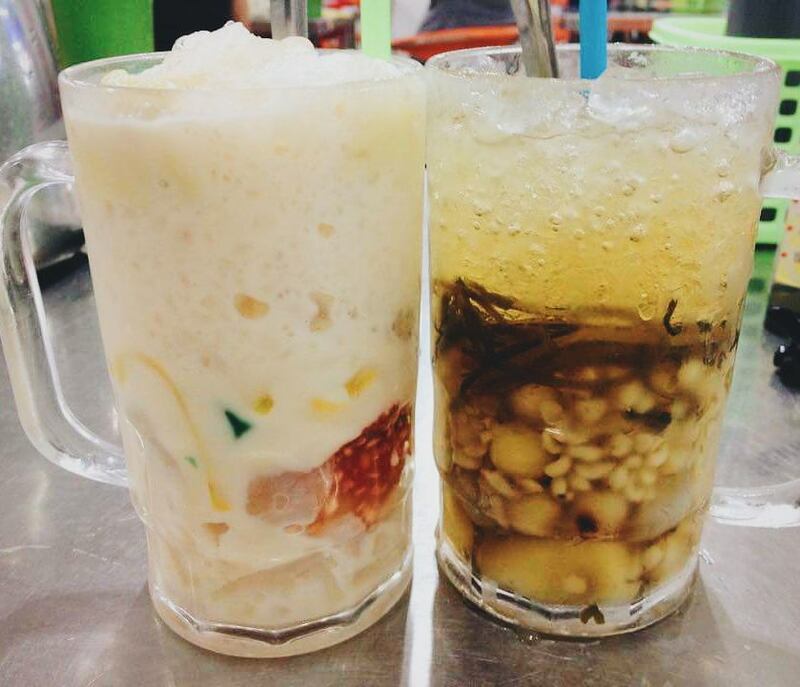 The Cambodian-Vietnamese Chè is definitely a must-try in this market. Cô Huôi is the most recommended stall to try Cambodian Chè at Le Hong Phong market. 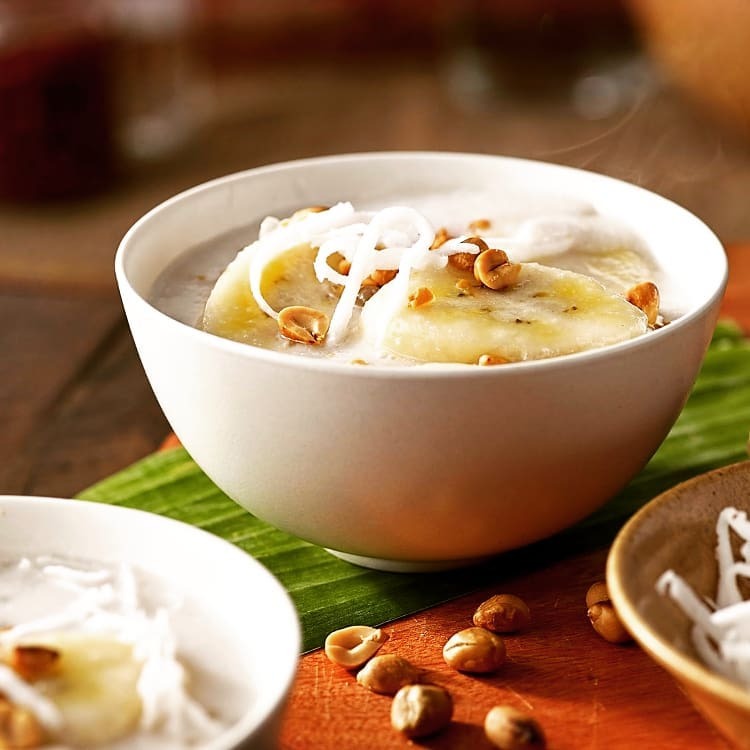 There are two favorites you should try: Cambodian pumpkin Chè (resembling caramel pudding, cooked inside a pumpkin) and Tamarind seed Chè. 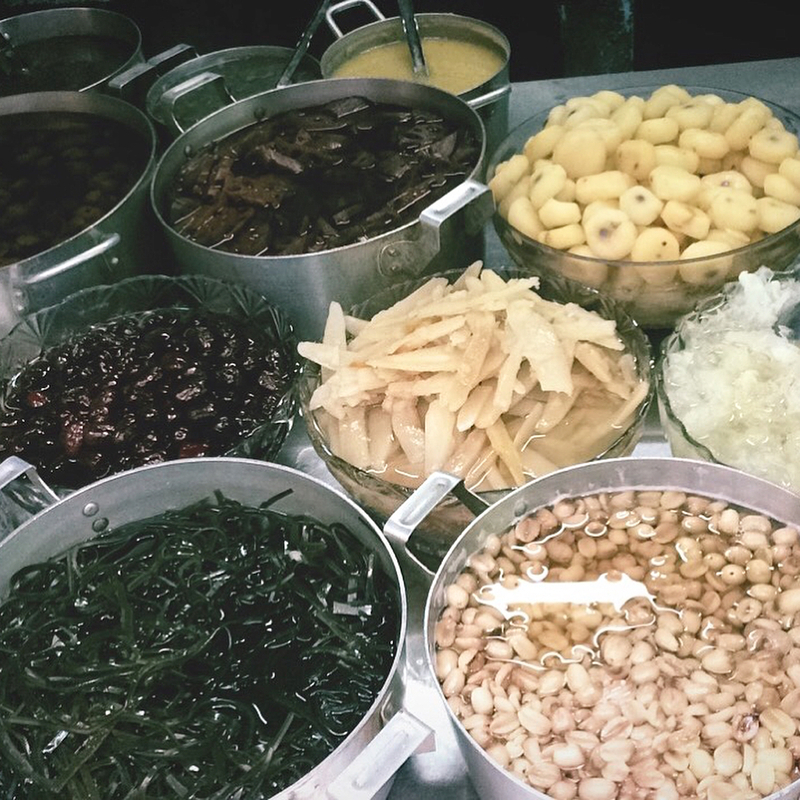 Looking for a quick pit stop while visiting Saigon’s Ben Thanh Market? We recommend you make your way to gate 7 to find a the “Bé Chè” stall. 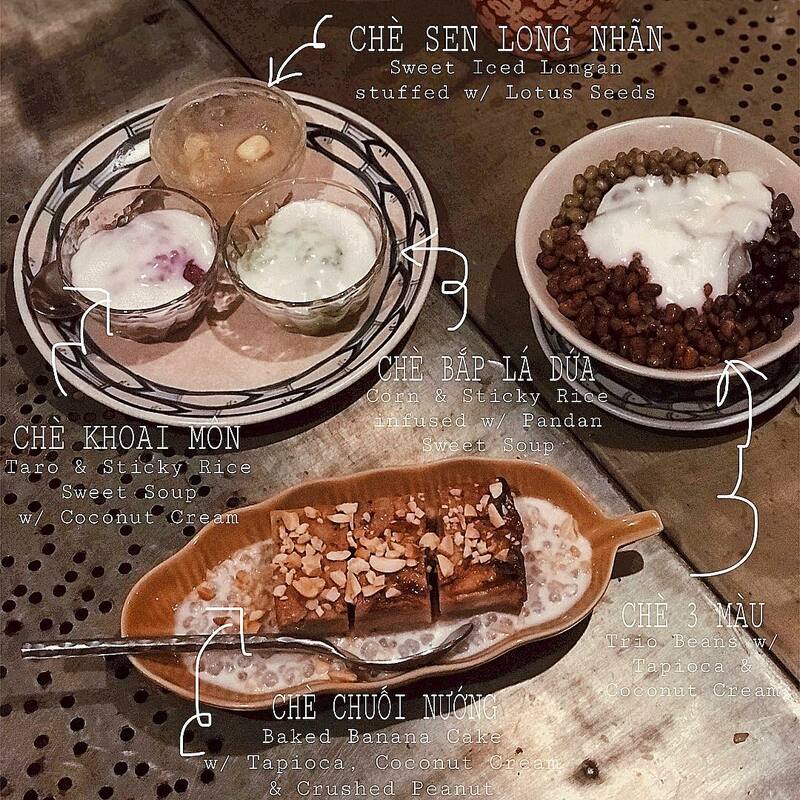 This place serves quite a variety of Chè desserts, allowing you to re-charge your energy and give yourself a second wind within Saigon’s shopping oasis. The specialty here is the “Suong sa hat luu”, roughly translated to “pomegranate seed shaped jelly”. A colorful, eye-catching dessert and very delicious of course! 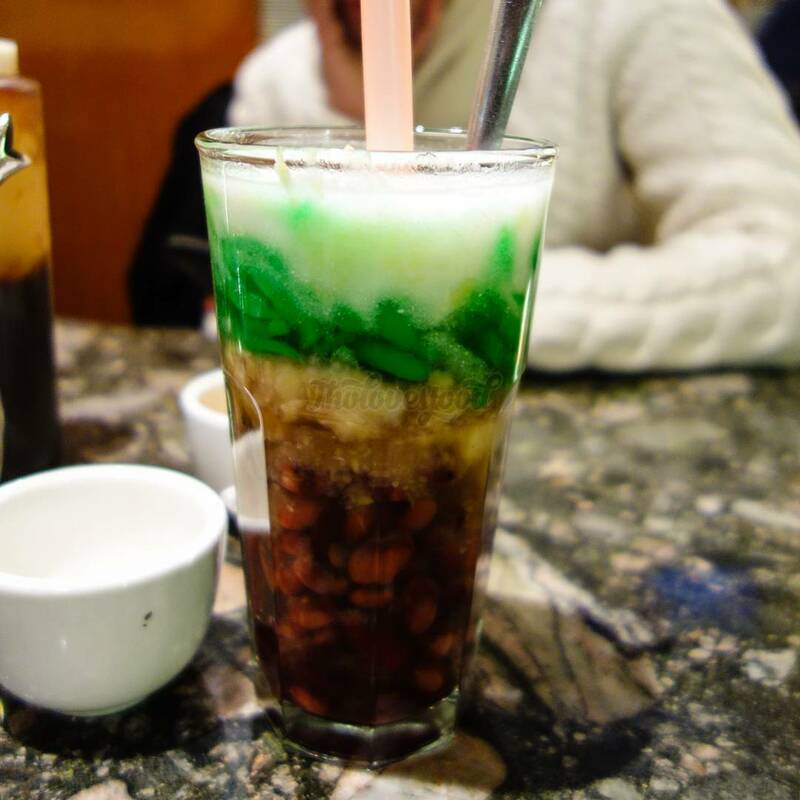 “Chè ba màu” is made with red beans, mung beans, and jelly. 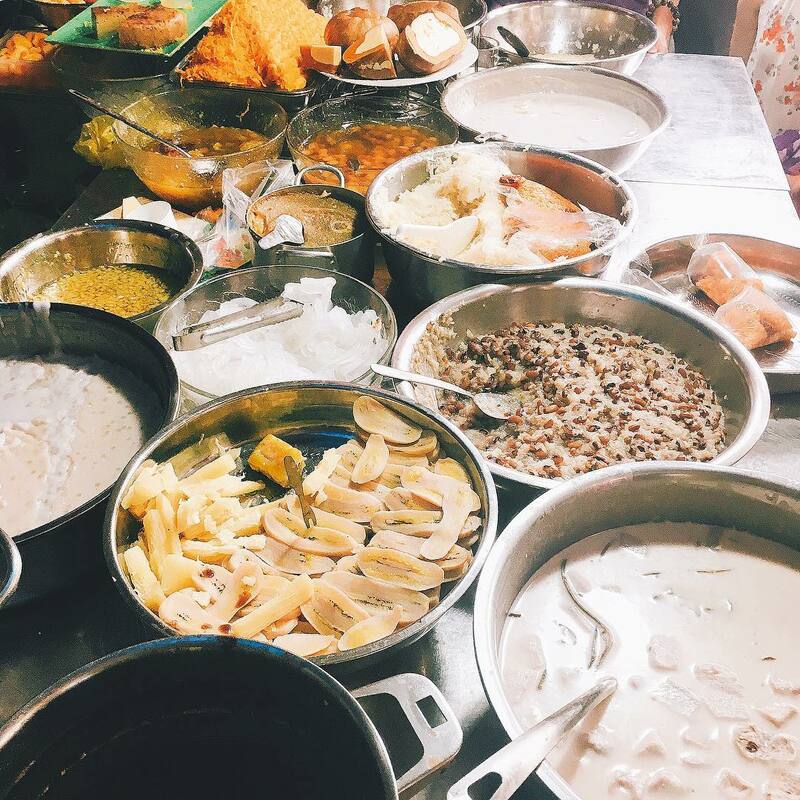 This chè place on Nguyen Phi Khanh street is only a small stall, but it is very famous for its secret recipe which gives it a very distinct taste. Tips: Don’t be afraid to ask for your order to-go. There aren’t many seats near the stall, and there’s a whole street for you to enjoy! Feeling overwhelmed at the choices? Are you excited to try all of these above? Find your private local tour guide for your food tour in Ho Chi Minh City on Inspitrip. 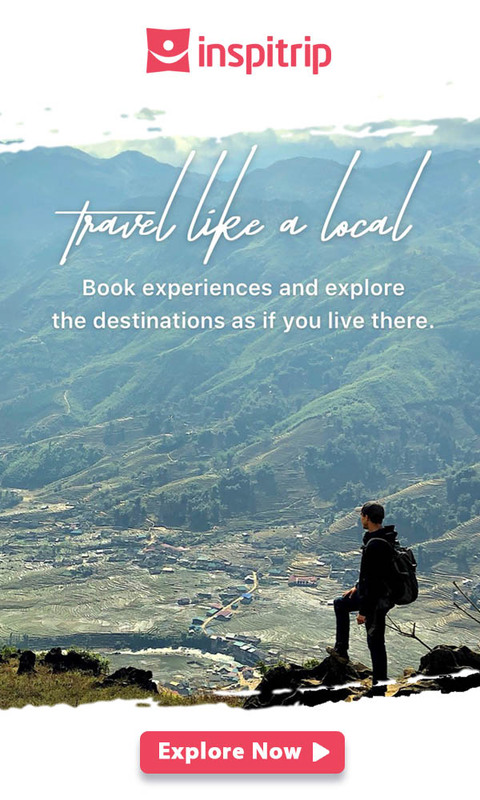 Our tour guides are friendly, passionate, and insightful local insiders who will show you Vietnam the way the Vietnamese see it. What’s even more cool? Our food tour packages include transportation by motor-bike, so that you can enjoy not only the local food specialities, but traffic and commuting just like a local would as well! Whoooot! Tips: Book your tour right away as soon as you arrive at Ho Chi Minh to receive helpful advice from our tour guides on things to do, food, shopping, and anything else about Saigon!